HomeCan IDL Alleviate the Symptoms of Schizophrenia? Can IDL Alleviate the Symptoms of Schizophrenia? Schizophrenia costs German society up to €13.52 billion a year, as hospitals attempt to treat this currently incurable condition. It costs the US economy155+ billion a year. In total, it is estimated that the world economy suffers at least 500 billiona year loss due to schizophrenia. Integral Deep Listening (IDL) could be a cost effective alternative to treating symptoms such as psychosis. Unlike other treatments, IDL is a shift in lifestyle, behavior and attitude towards a new way of being. It reframes the experience of schizophrenia in ways that support and return homeostasis to the life of the individual. Once the approach has been taught, it requires little financial investment. A patient can use the skills acquired to achieve the following benefits. 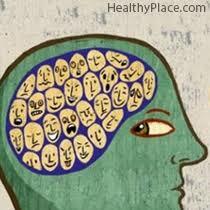 Depression as a mental illness is much higher among those with schizophrenia than it is among the general population. It is estimated that up to 70% of patients with the condition will suffer a depressive episode at least once and, at any one time, 25% will be living with depression. This is significantly higher than depression rates for society as a whole, which is below 10%. Removing the barrier of depression is extremely important. It makes it hard for a person to take the steps needed to treat themselves. Without this motivation, the condition of schizophrenia is likely to worsen. Luckily, IDL has been demonstrated to decrease depression rates, by reframing perception of life experiences, even those associated with depression, in ways that are authentically meaningful. This frees a person’s perspective from negative emotions. Through IDL, someone with schizophrenia can build the belief and confidence that they can get better and live a meaningful life. An effective treatment plan for schizophrenia is often built around helping a patient to interact with their community. A symptom of schizophrenia is social withdrawal, as a person becomes detached from reality and instead spends time in their own mind. Without the right quantity and quality of social interaction, the brain starts to deteriorate. We are deeply social creatures who require relationships to maintain strong mental health. Healthy social interaction grows out of healthy intrasocial interaction; that is, healthy thoughts and feelings and interaction with our own interior world. Because IDL integrates and balances this interior world, it rebuilds a missing foundation for healthy social interaction often missing in schizophrenics. As a result of an improved ability to tune into one’s own feelings and to gauge the accuracy of thoughts and impulses, positive social interaction becomes more likely. The practice of IDL predicts an improved ability to tune into other people’s needs and form deeper relationships. Self-awareness allows connection to others, while empathy is the foundation of any relationship. By practicing IDL, a person with schizophrenia builds a meaningful and purposeful intrasocial context that overcomes many of the negative effects of social isolation. IDL is an incredibly versatile and powerful tool which has the advantages of simplicity, autonomy, personal verifiability, and economical. Its costs are mostly the personal investment of time to learn and practice its simple, straight-forward, and creative processes. Because our relationship to our thoughts, feelings, and world view is fundamental to our relationship with others and everyday life, schizophrenia is just one of many conditions which can be treated using IDL. Since it affects so many people and has a huge financial burden, treatment for schizophrenia should be diverse. While medication and psychiatric therapy are important, IDL can help to reduce the depression and social isolation that are often observed as co-morbid conditions. Next PostIs Your Sleep Affecting Your Chronic Pain Levels?